View More In Electric Skillets - Page 4. 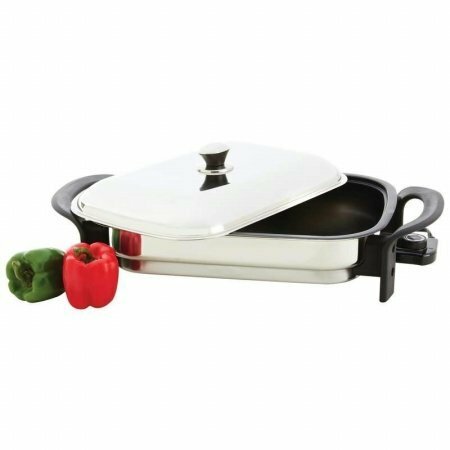 Features non-stick coating, stainless steel cover, adjustable temperature control, and non-slip feet. UL certification. Cooking surface measures 16" x 11" x 2-1/4". Limited 5 year warranty. White box. If you have any questions about this product by B&F, contact us by completing and submitting the form below. If you are looking for a specif part number, please include it with your message.